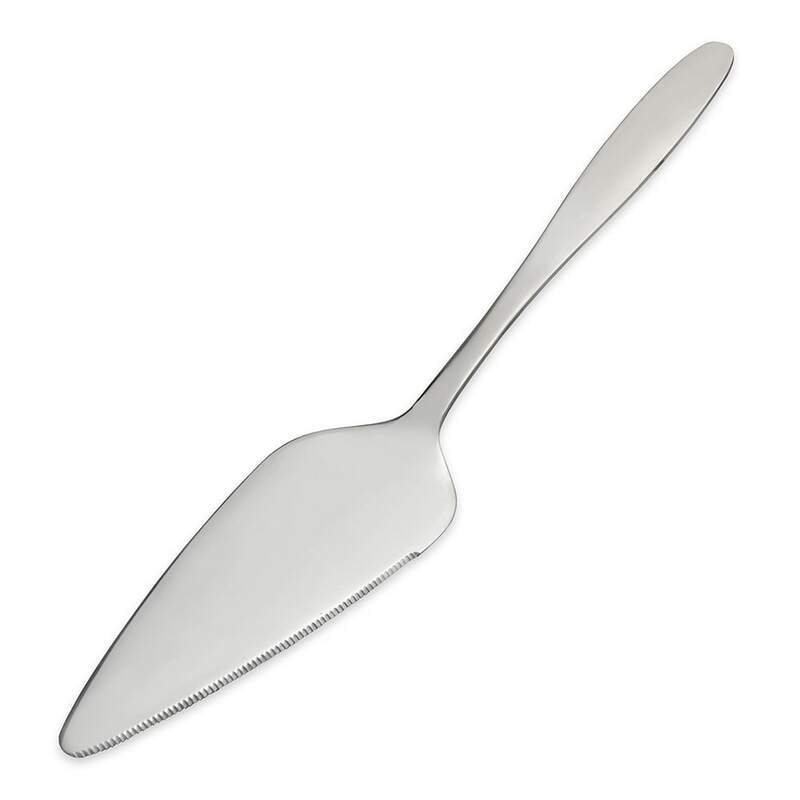 "Love this simple pie server to compliment my simple serving pieces." "WOW... absolutely loved these pie servers, based on previous review. I needed 10 of these for my daughters wedding. Looked all over Mpls and c..."
"I ordered 31 pie/cake servers to be used at my daughters wedding for the 31 individual cakes that were to be served. [...] They were perfect -..."
Fabulous, Elegant.....The bride was very happy! "WOW... absolutely loved these pie servers, based on previous review. I needed 10 of these for my daughters wedding. Looked all over Mpls and could only find cheap plastic, beat up or way over priced. The pie servers that I bought from KaTom were very elegant, sturdy, price was right, shipping fast and customer service extraordinary. Really liked the serrated edge. Thank you again from the " Mother of Bride""
"I ordered 31 pie/cake servers to be used at my daughters wedding for the 31 individual cakes that were to be served. [...] They were perfect - simple yet elegant and the price was affordable. I would check out this website again for additional restaurant, cooking, and entertaining products."